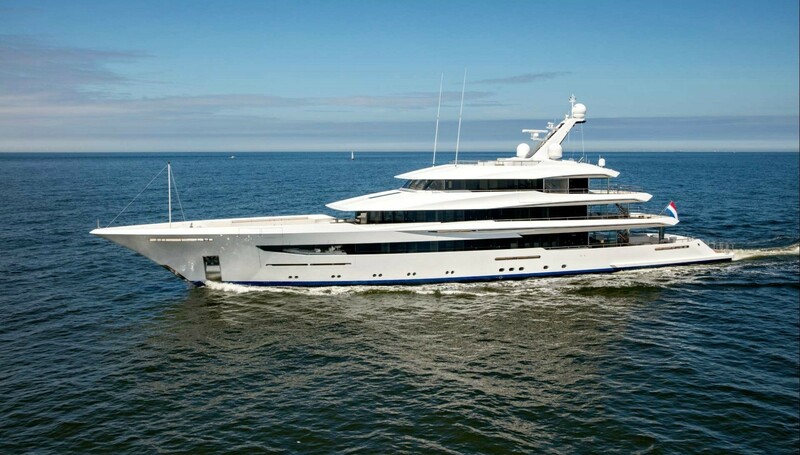 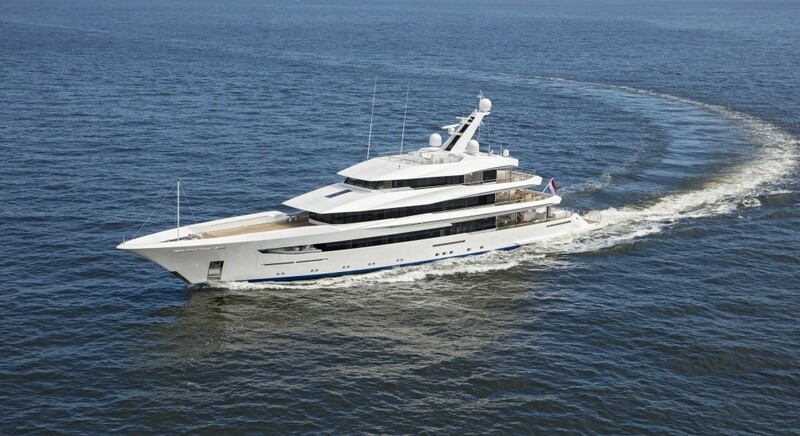 The Feadship 70 meter superyacht as designed by Bannenberg & Rowell was launched in 2016 to widespread interest and later to considerable success in yachting awards. 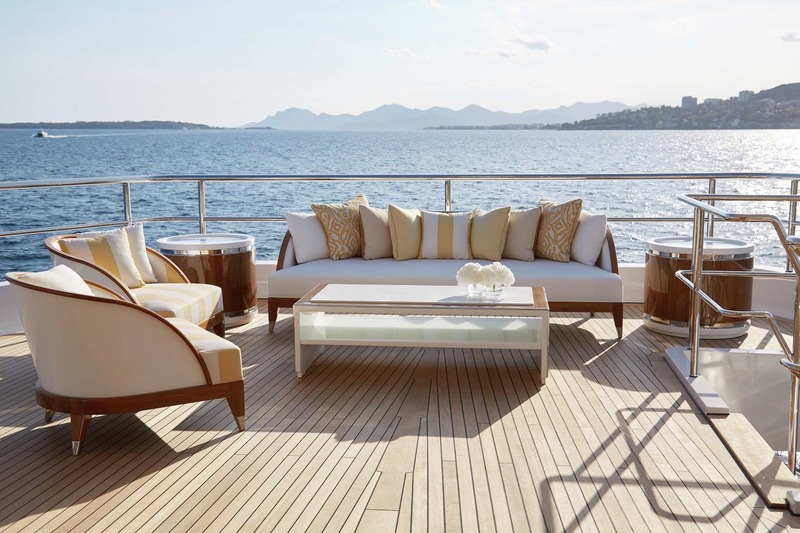 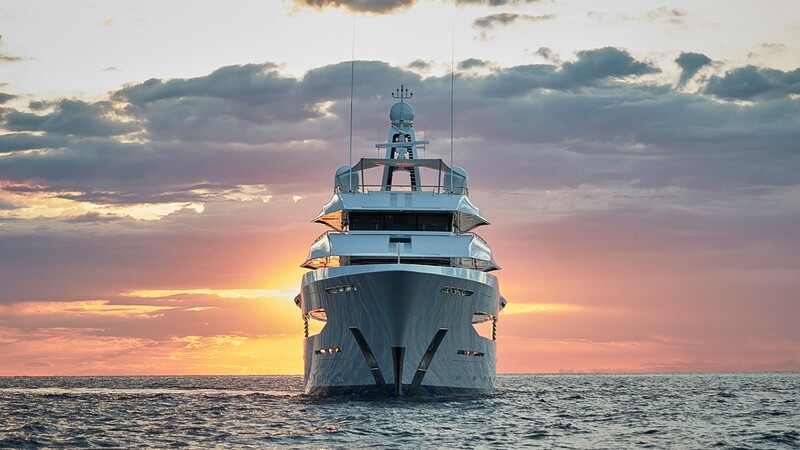 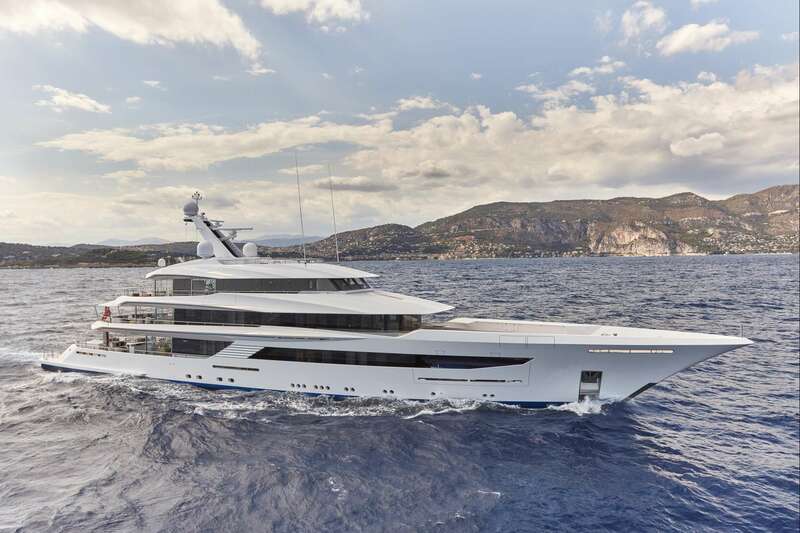 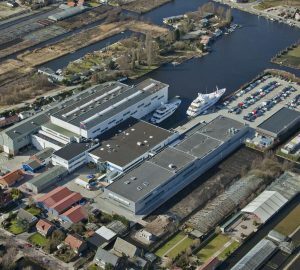 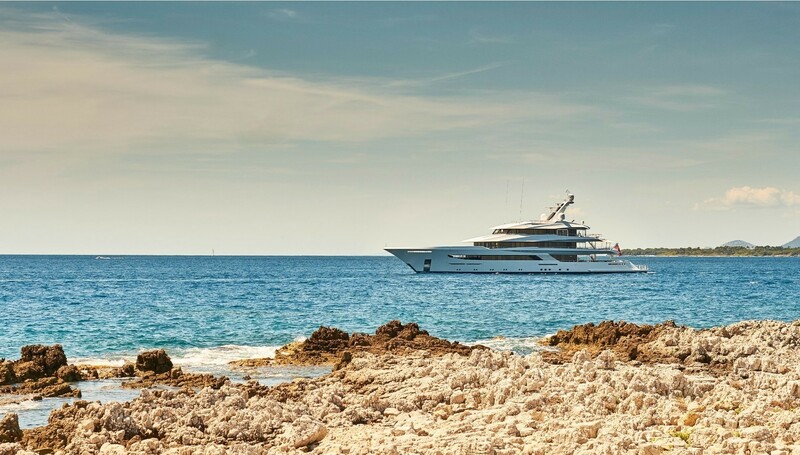 She is the first Feadship to feature exterior design by Bannenberg & Rowell and also the first superyacht in the portfolio of the architects at Studio Indigo who have created her interior design. 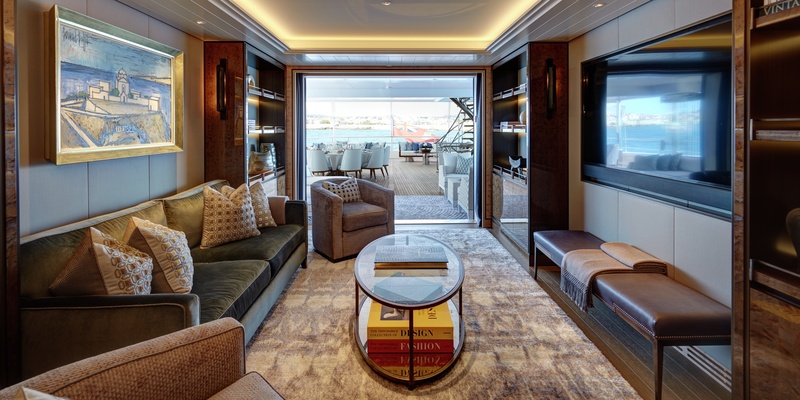 The exquisite exterior and interior have resulted in an impressive charter yacht, boasting numerous eye-catching and innovative features, such as the cantilevered staircase. 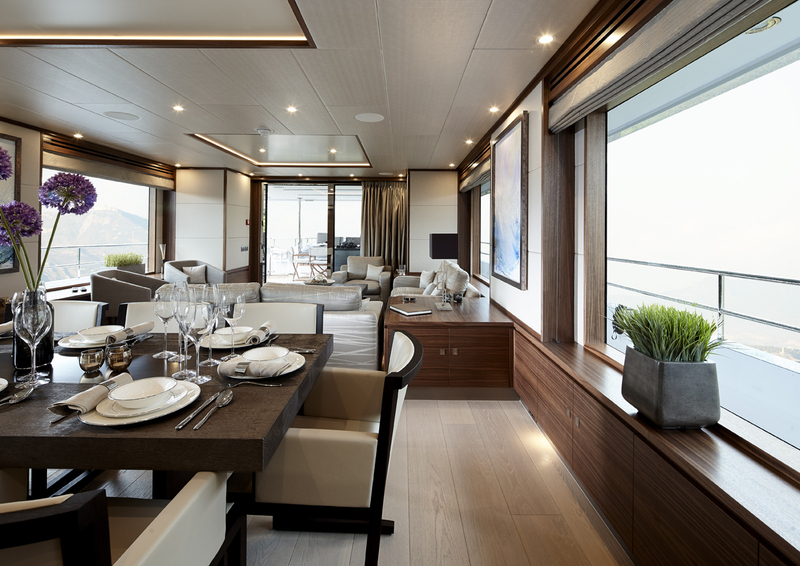 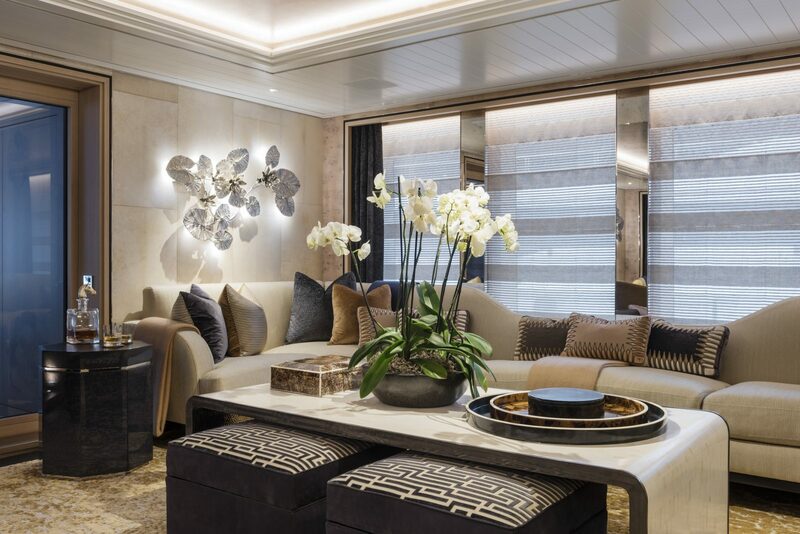 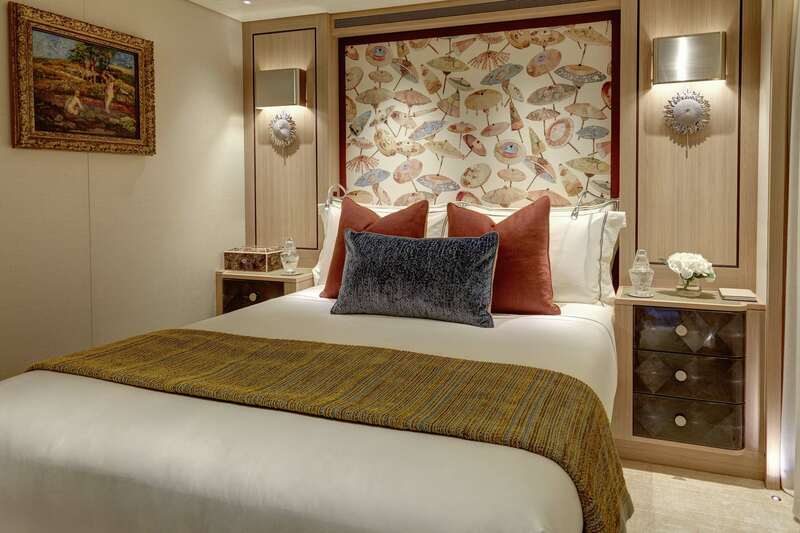 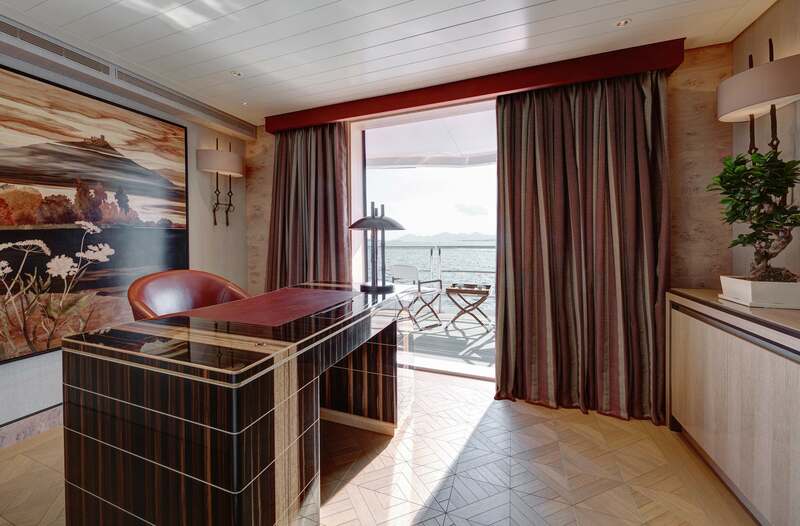 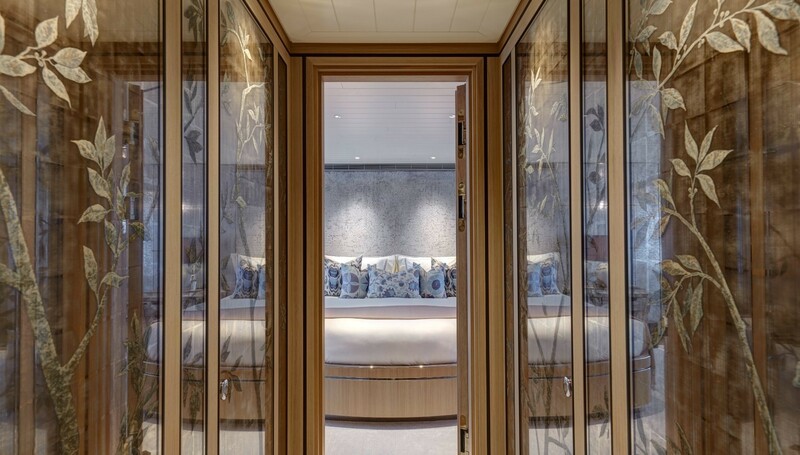 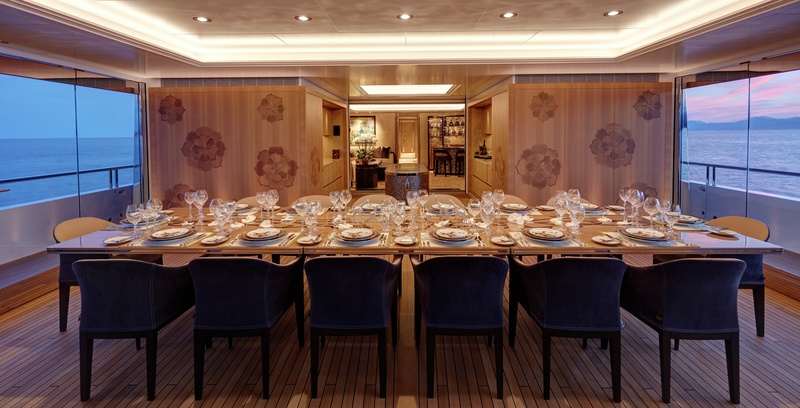 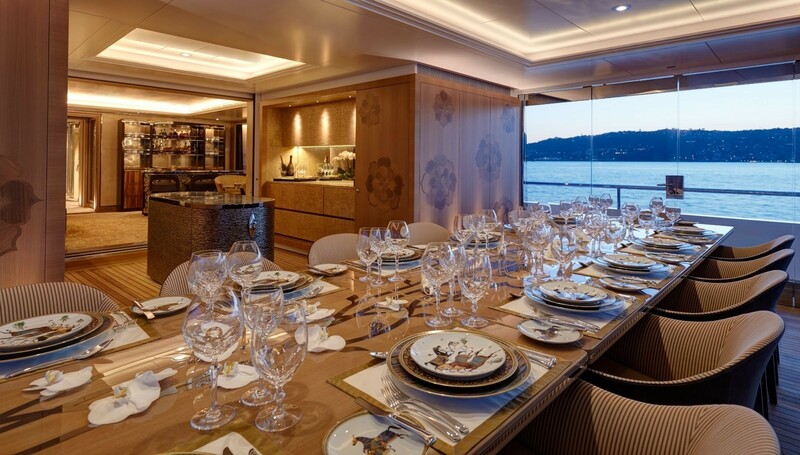 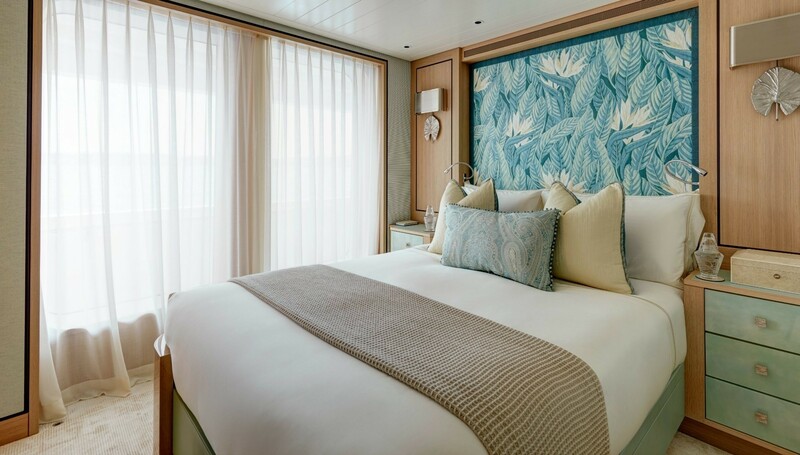 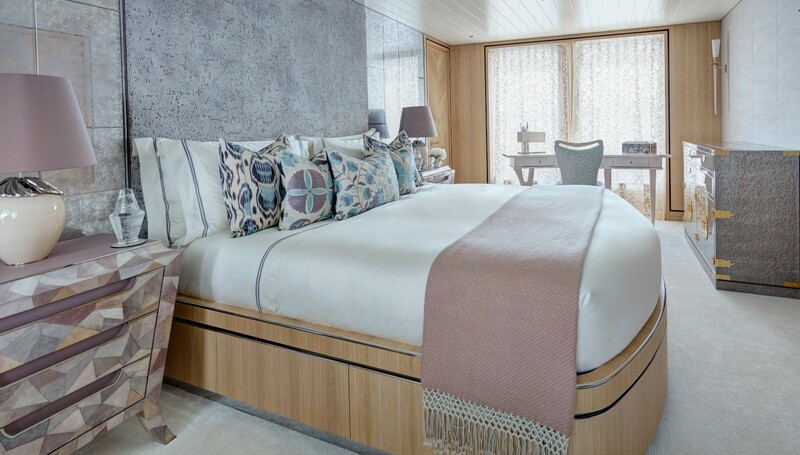 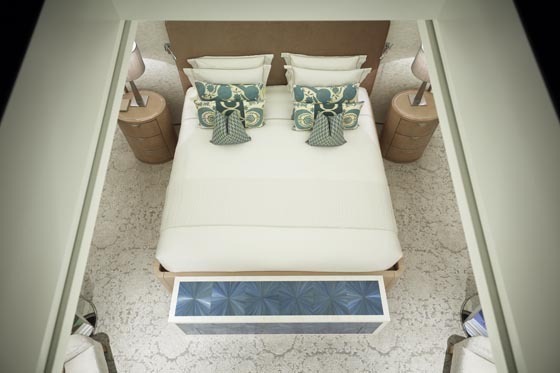 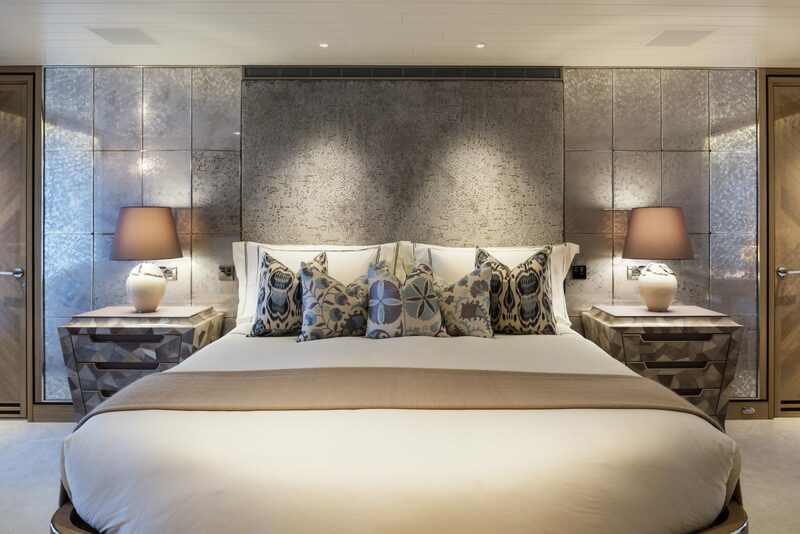 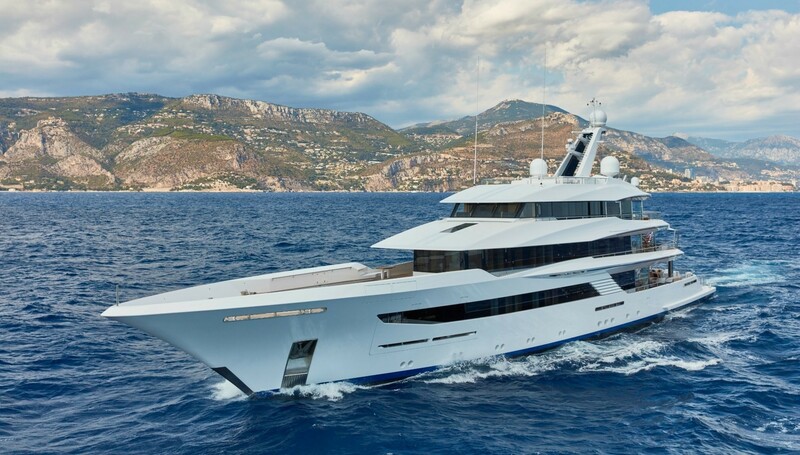 The 70-metre vessel sleeps 12 guests in 7 double cabins and one twin luxury cabin. 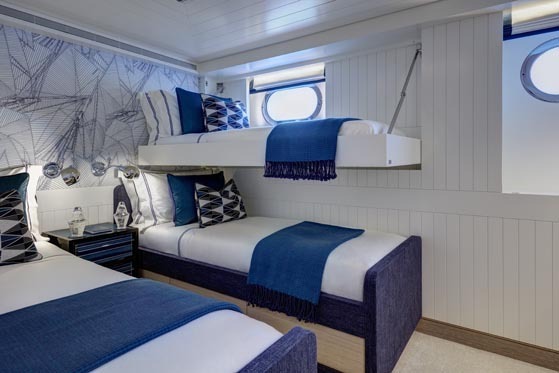 There’s also accommodation for 17 crew members on board. 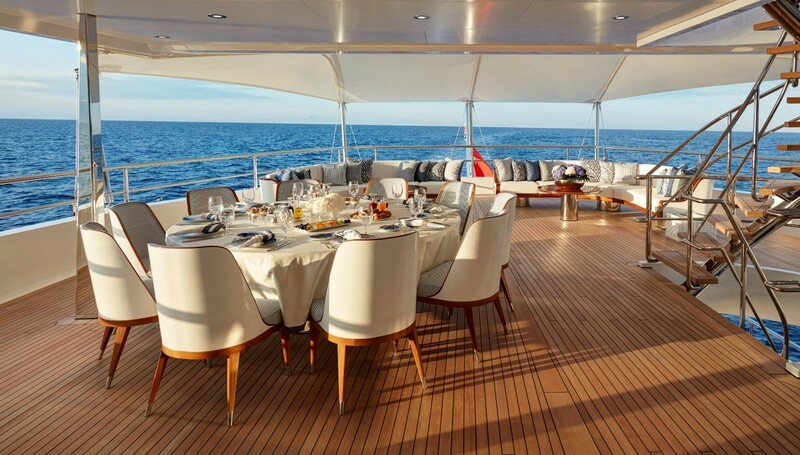 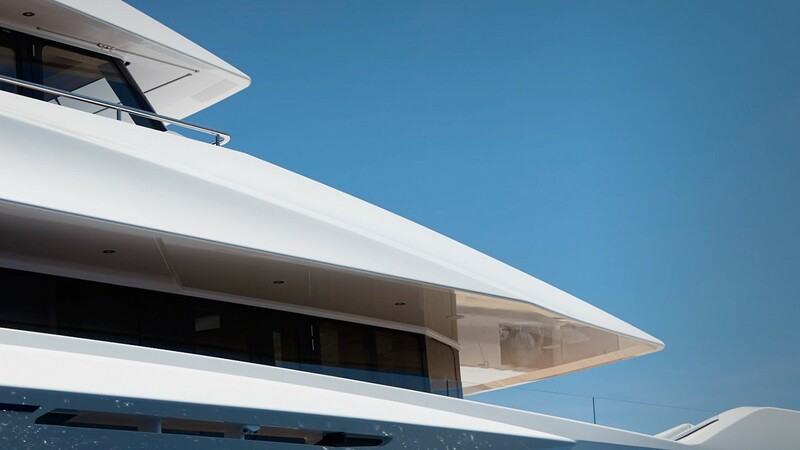 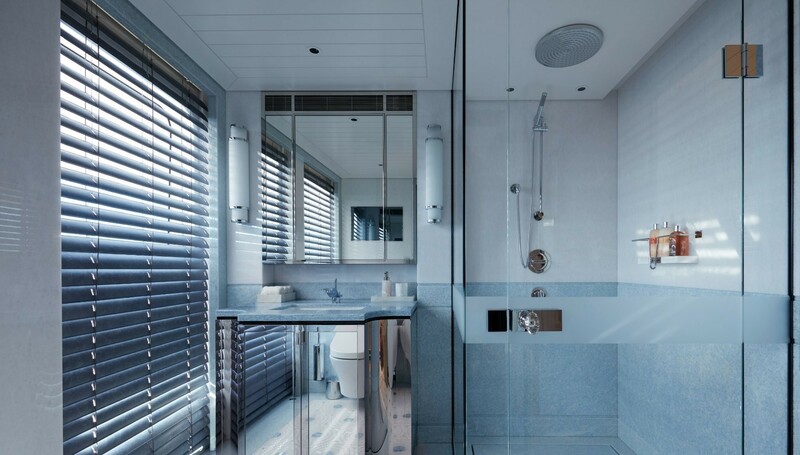 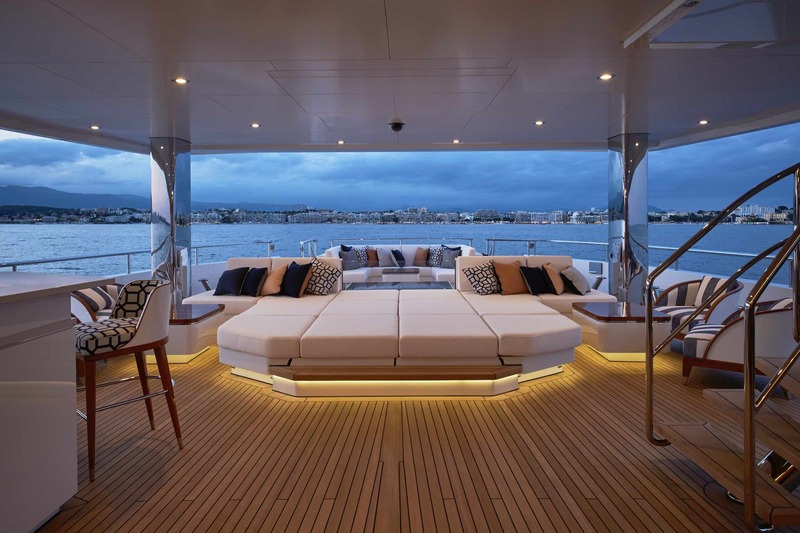 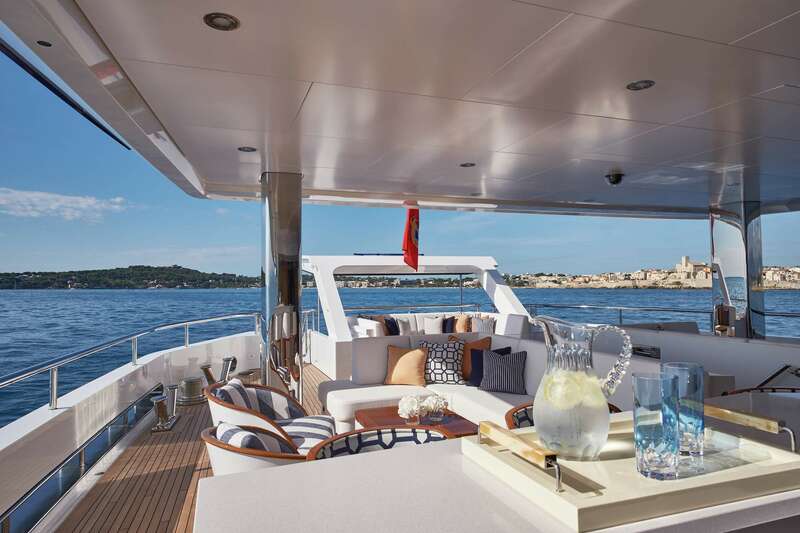 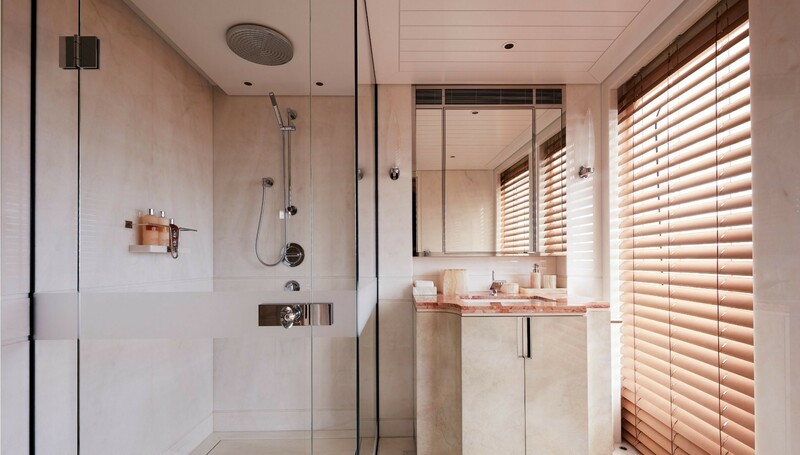 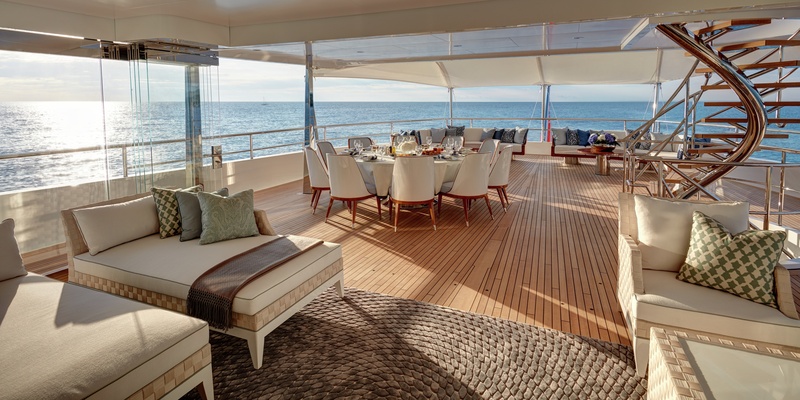 Although she carries fewer gross tonnes (around 1,100), less than most other 70m motor yachts, you can still walk comfortably down her side decks which are protected by high bulwarks and deck overhang above. 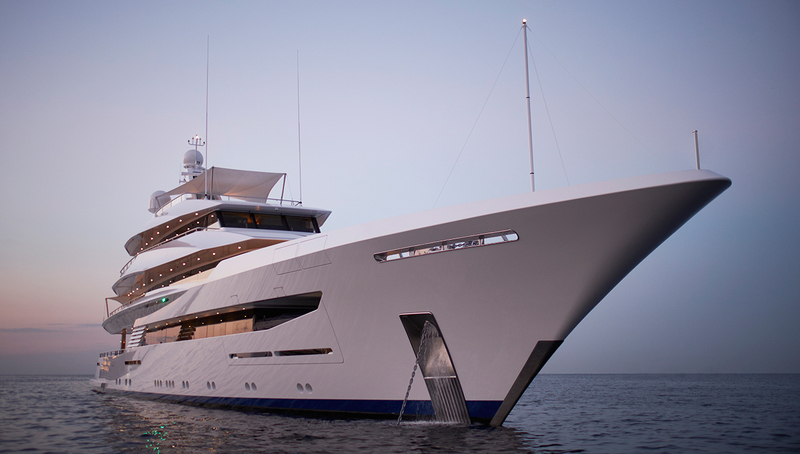 The vessel is large enough to walk around the entire superstructure all on one level. 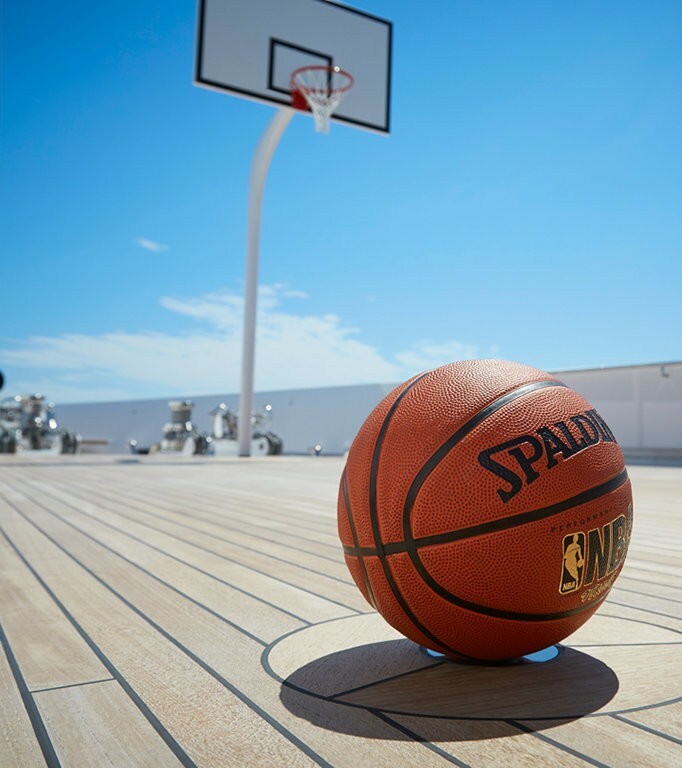 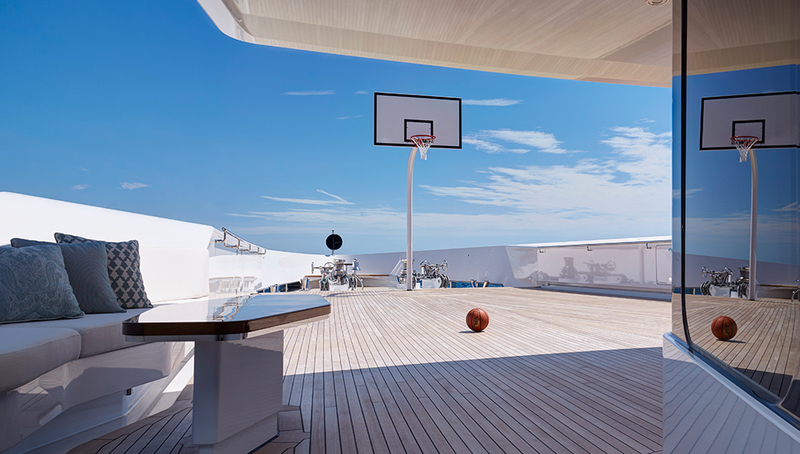 Her foredeck can be used for games of basketball or badminton as well as outdoor exercise/fitness sessions. 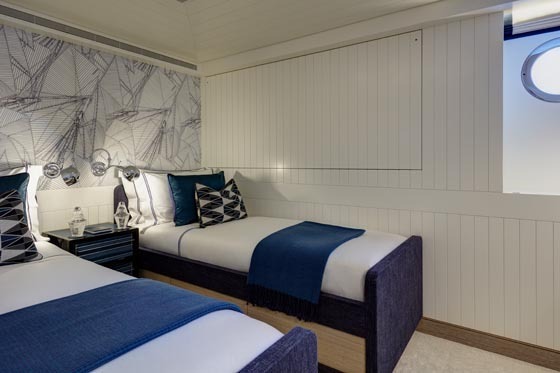 The transom opens out to reveal the beach club, a very popular focal point with guests. 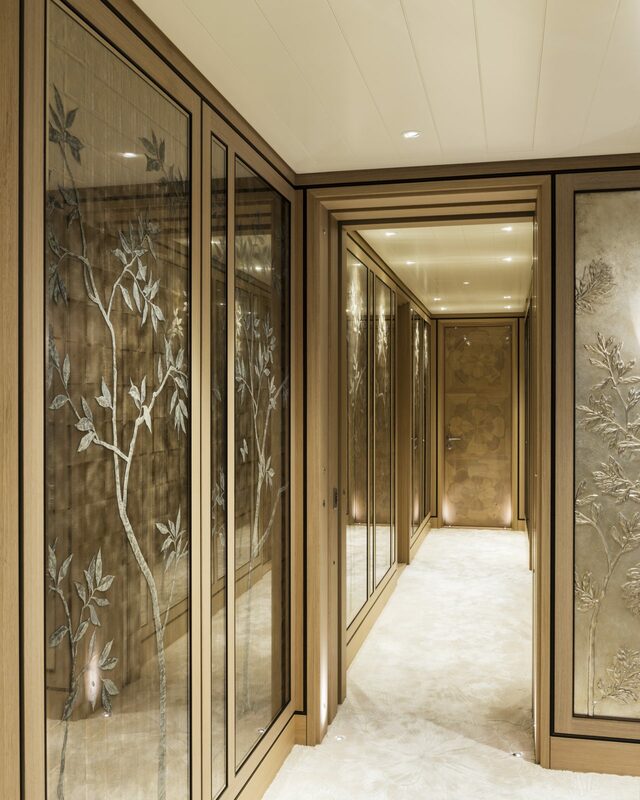 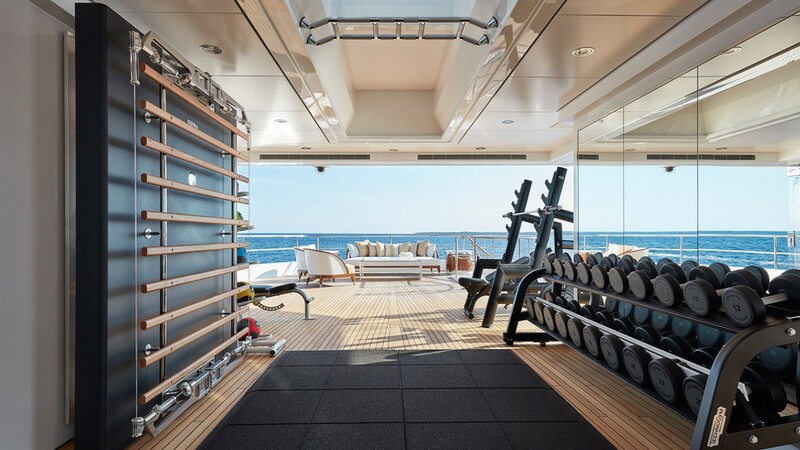 A glass wall design has been incorporated into the bridge deck which houses the superyacht’s gym and wellness area. 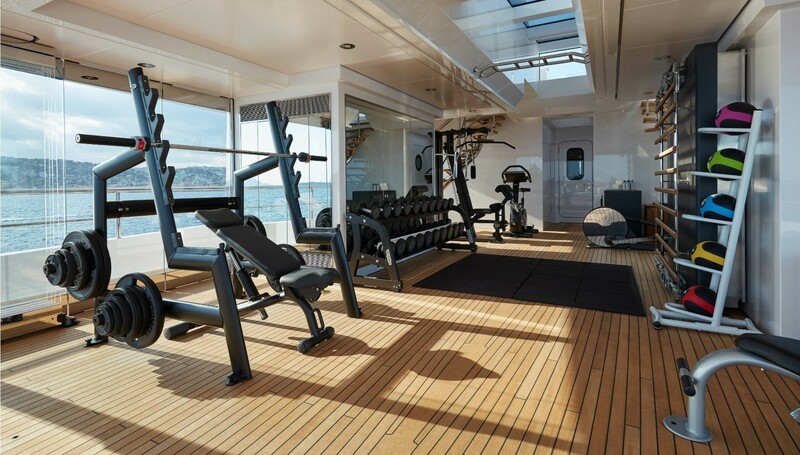 Kitted out with Techno equipment, it’s a hybrid space both inside and out. 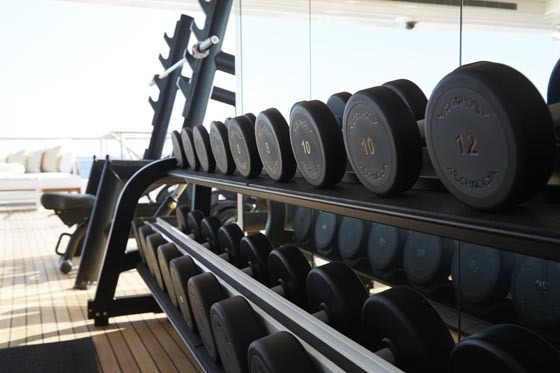 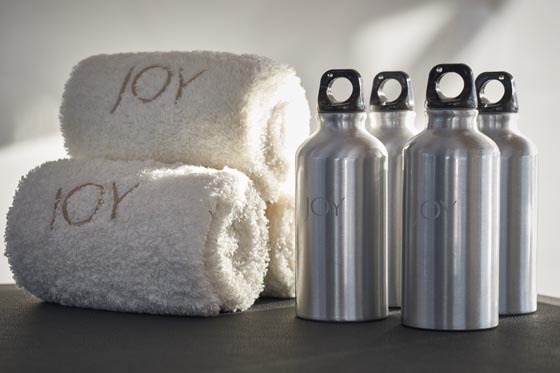 It’s a great place to work out and is in a prominent position with spectacular views of the ocean. 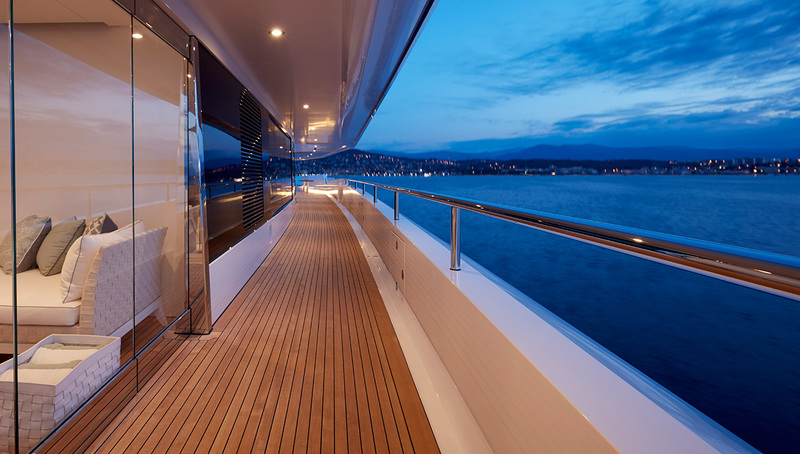 Double stairs forward sweep up to the superyacht’s sundeck and its inviting pool. 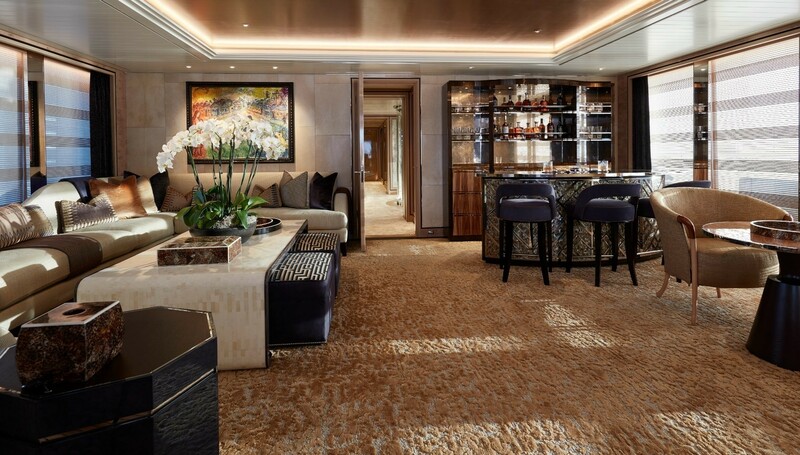 Together they create an exclusive and private area at the very top. 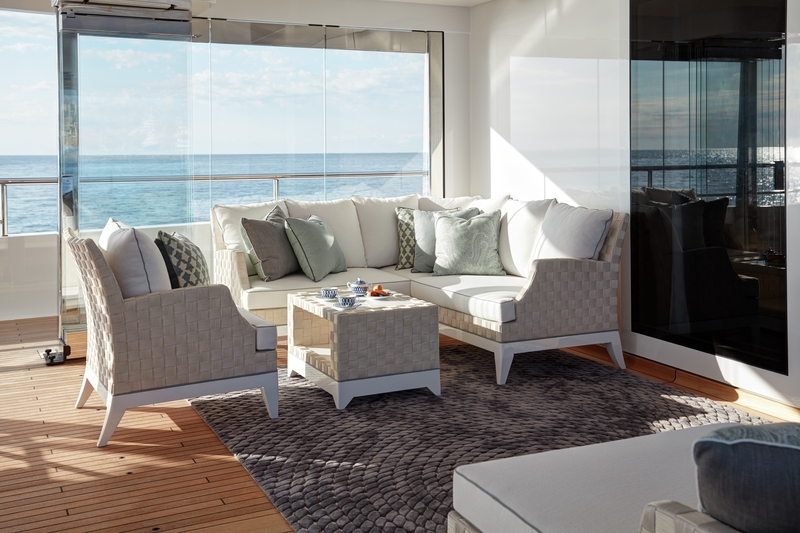 The exteriors benefit from quality finishes while the interior has beautiful textiles, materials and stylish furniture. 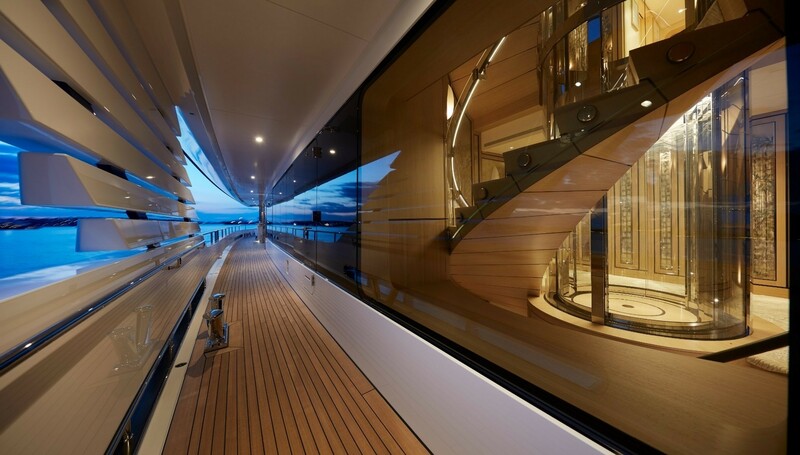 One of her main features is the spectacular cantilevered staircase which winds up from the lower deck around the lift shaft. 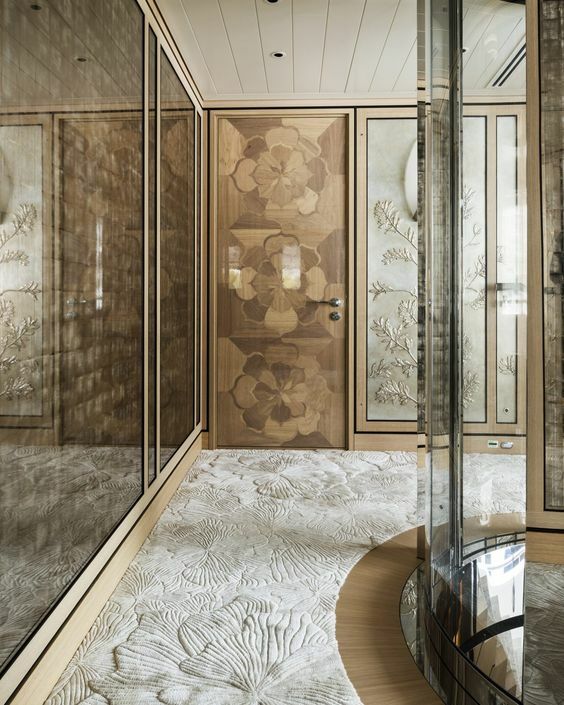 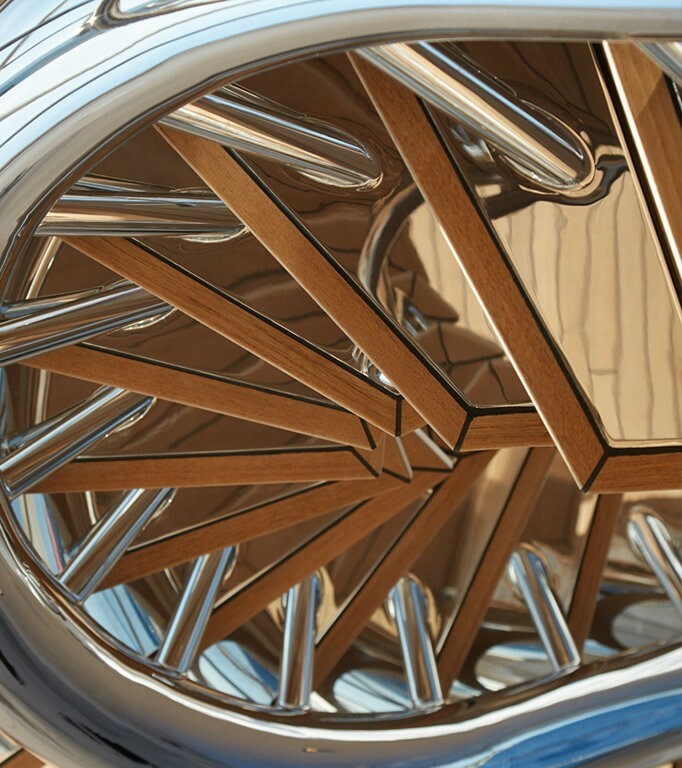 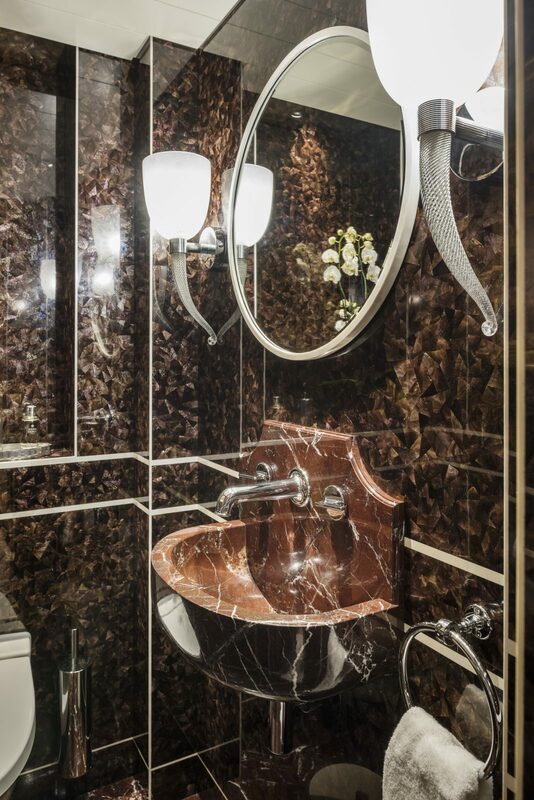 It’s a real centrepiece with eye-catching eglomise panels made by DKT Artworks and oak marquetry. 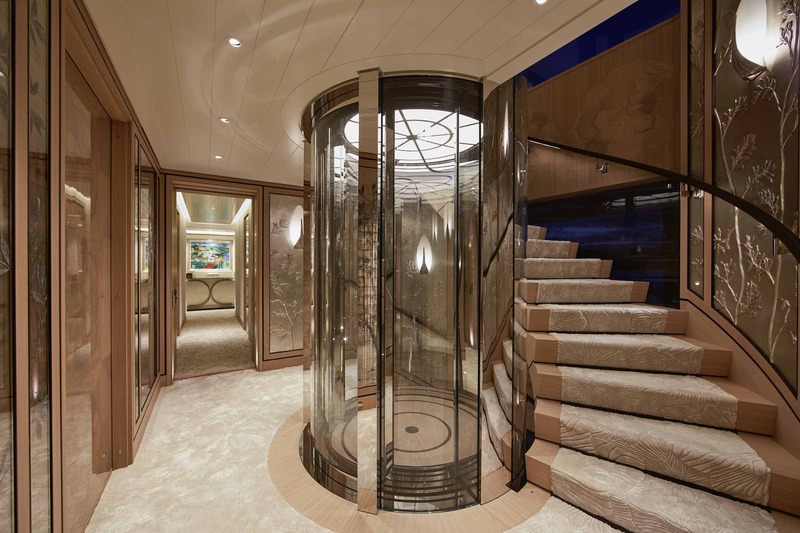 No hydraulics or electrics are used, the staircase can be operated manually simply by pushing down. 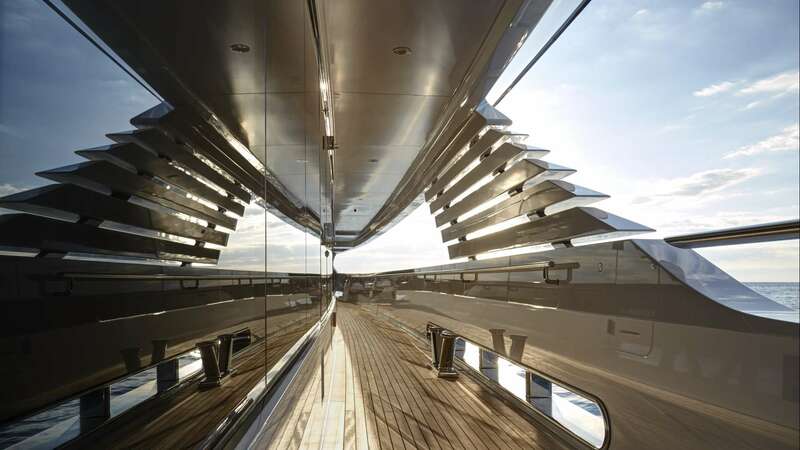 The cantilevered staircase will take you to the bridge deck which also has an office for private use. 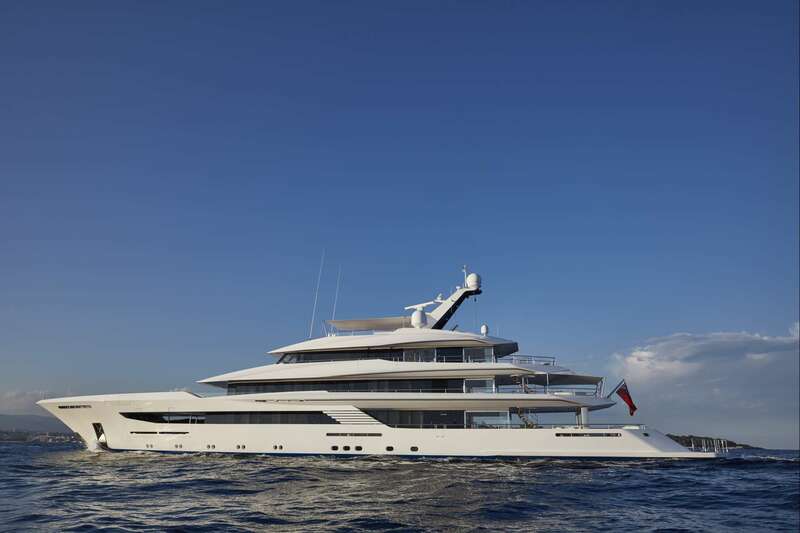 Two sections of bulwark can be folded down forward on the main deck to release the tenders stored there. 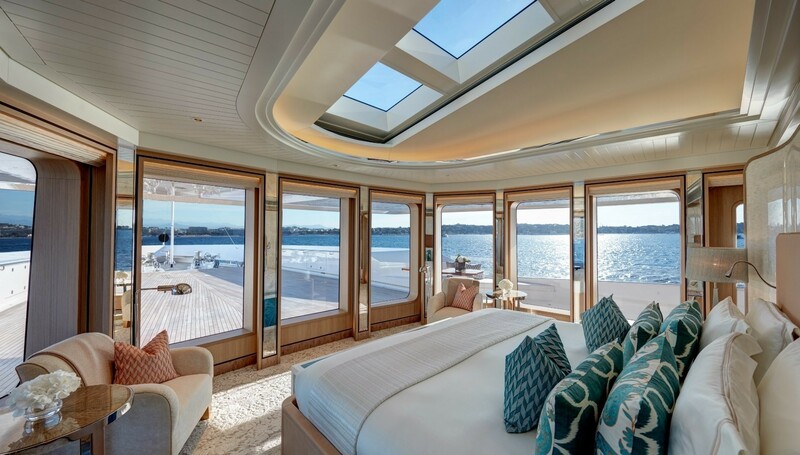 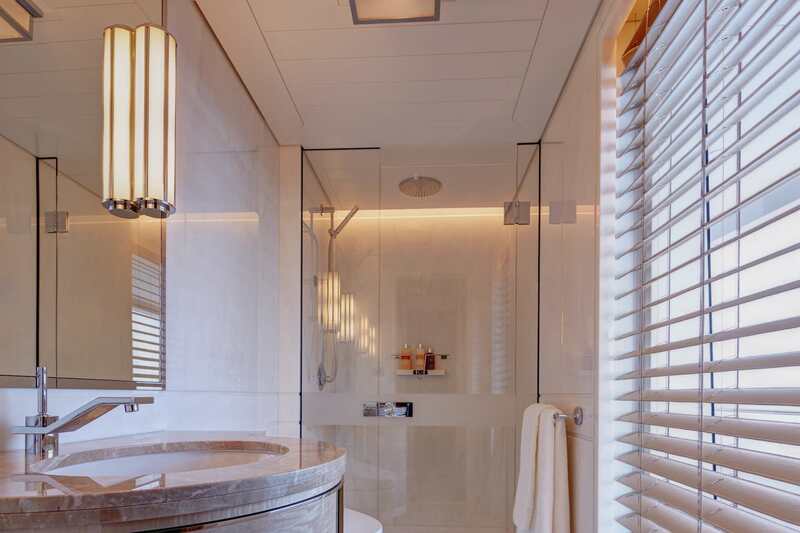 A large transom door can then be levered up to create a shade for the bathing platform which also opens up the beach club. 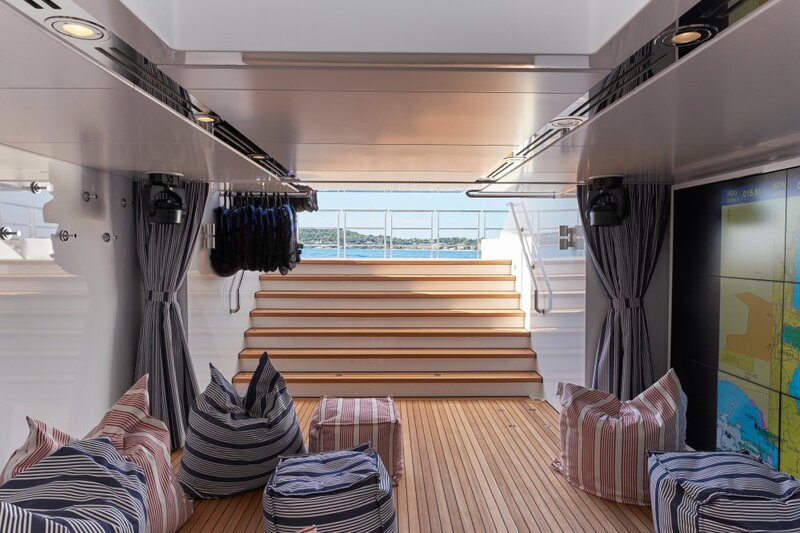 There’s another access to the beach club via a set of bomb bay doors on the main deck. 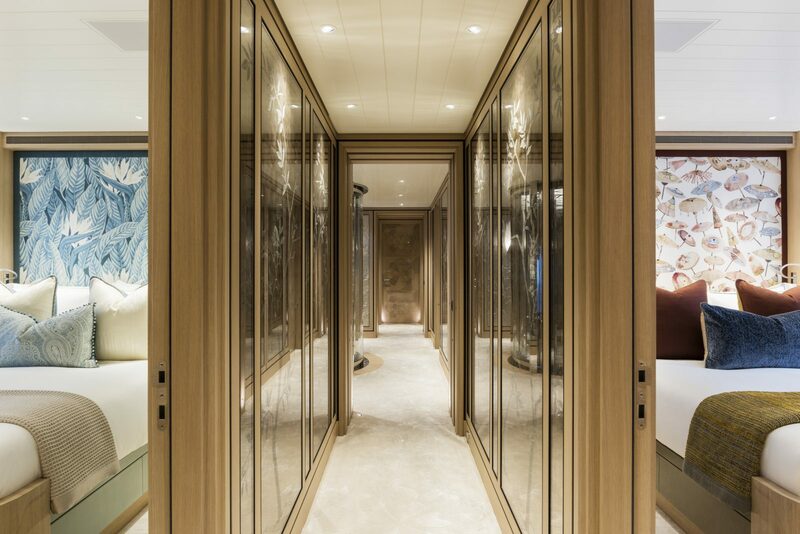 Inside there is a cinema and a huge video wall made by VBH. 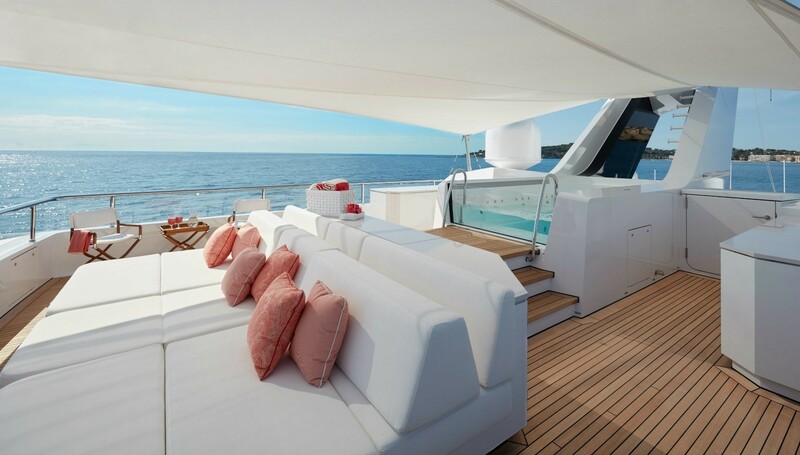 This can be used to screen movies or play computer games. 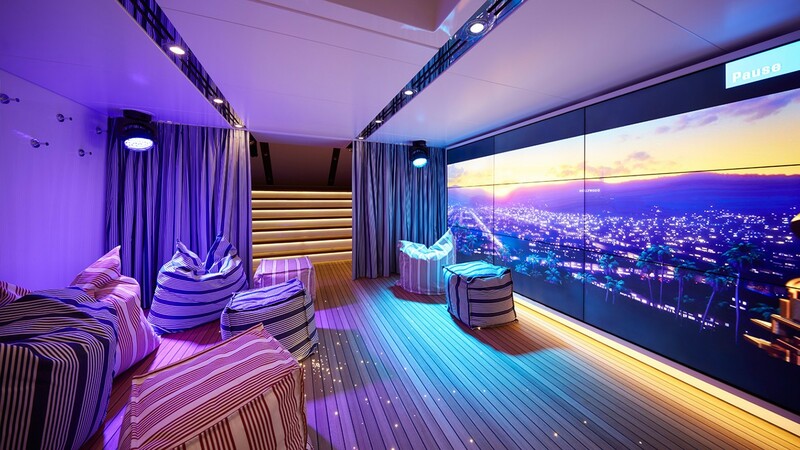 The cinema room transforms into a disco hub, a great place to dance the night away. 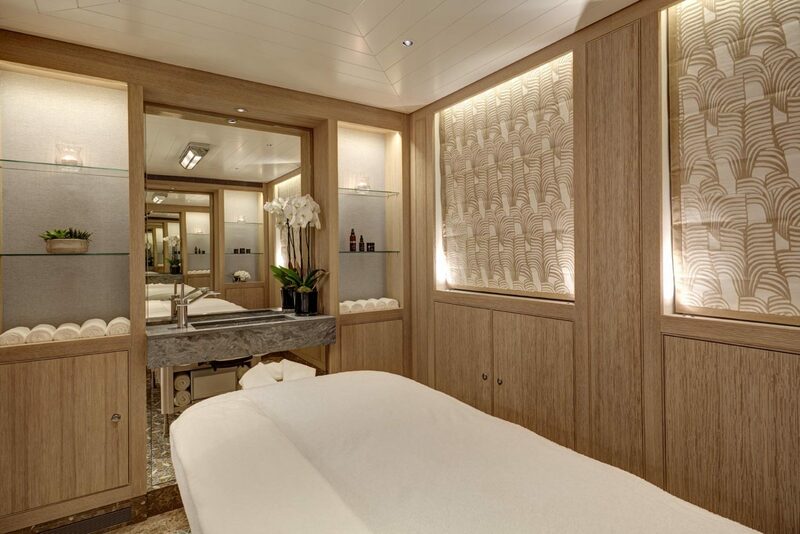 Other amenities include a Jacuzzi, barbecue and even an onboard masseuse. 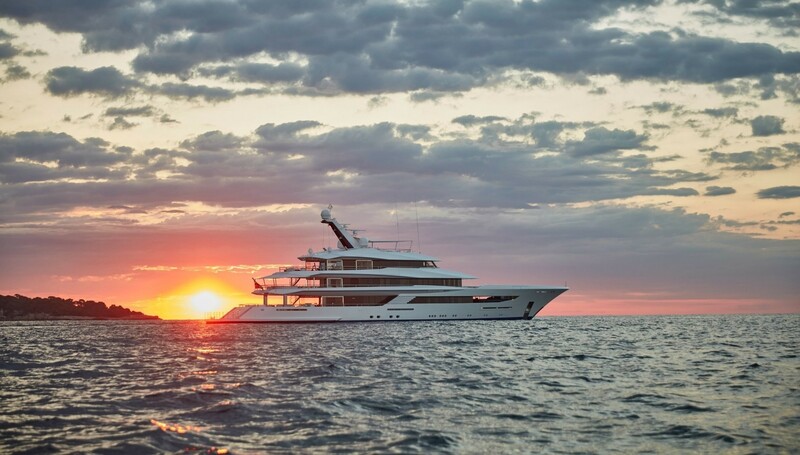 Feadship 70m Custom sleeps 12 charter guests in seven luxurious double cabins and one guest cabin. 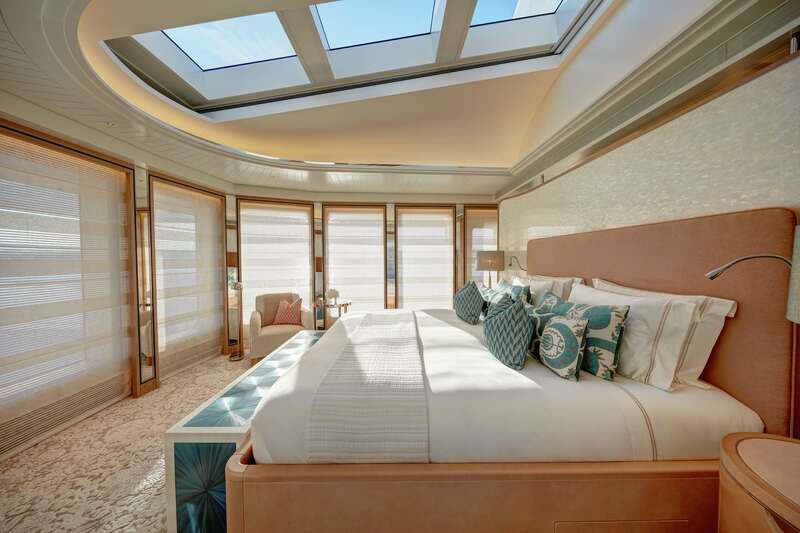 Each has windows looking out onto the wide walkways helping to make the rooms appear much larger and more spacious. 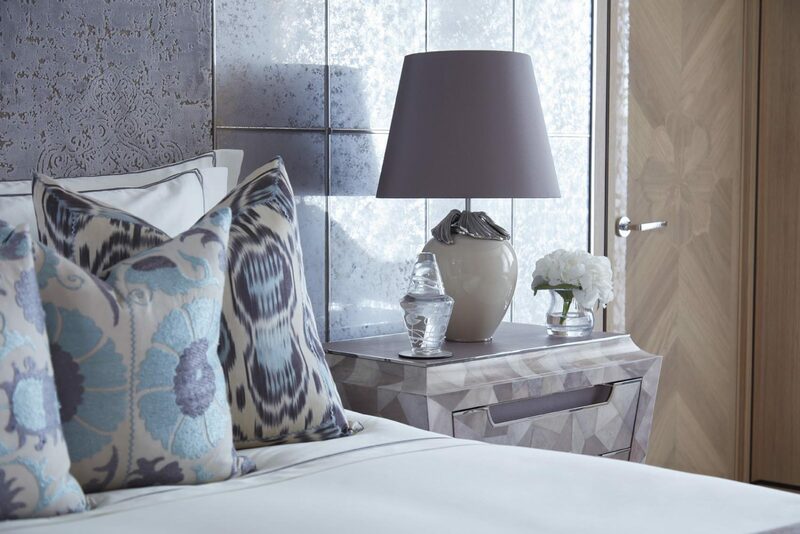 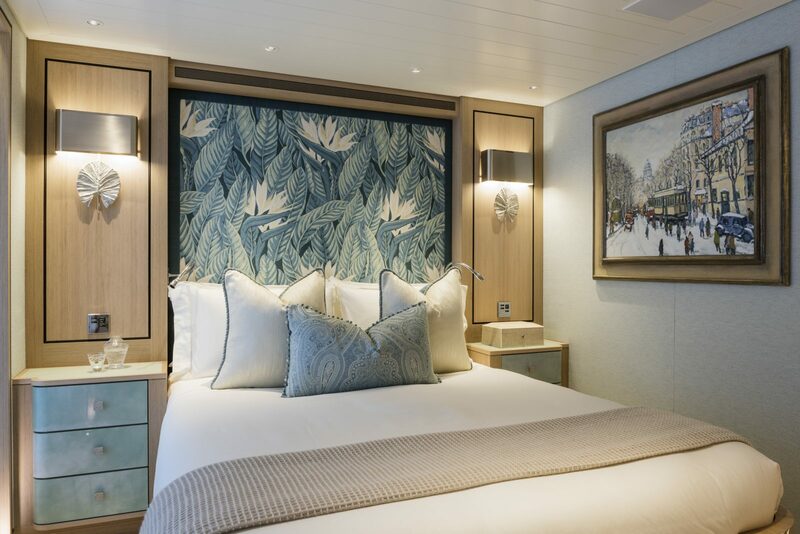 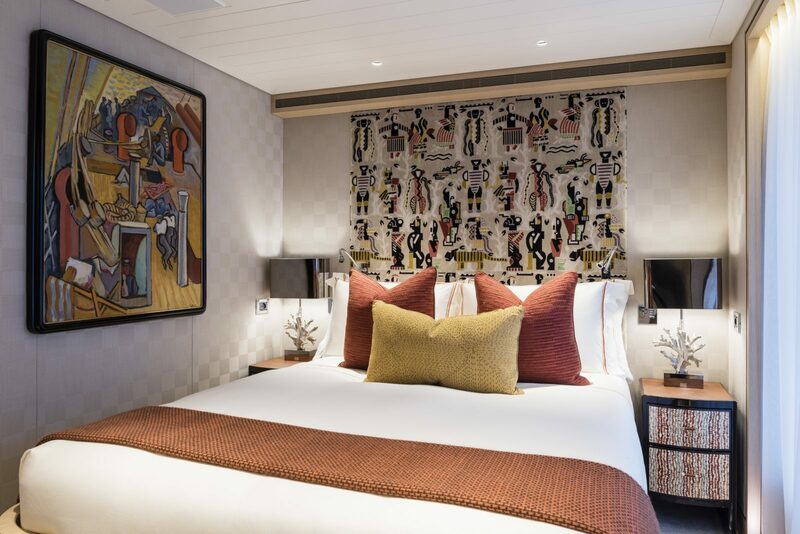 Every cabin has its own individual character with lots of colour, textures, artwork and fine furnishings. 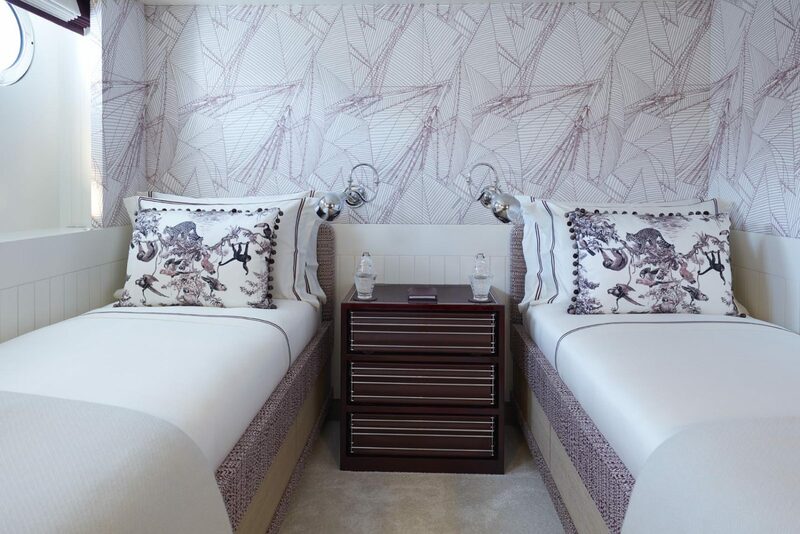 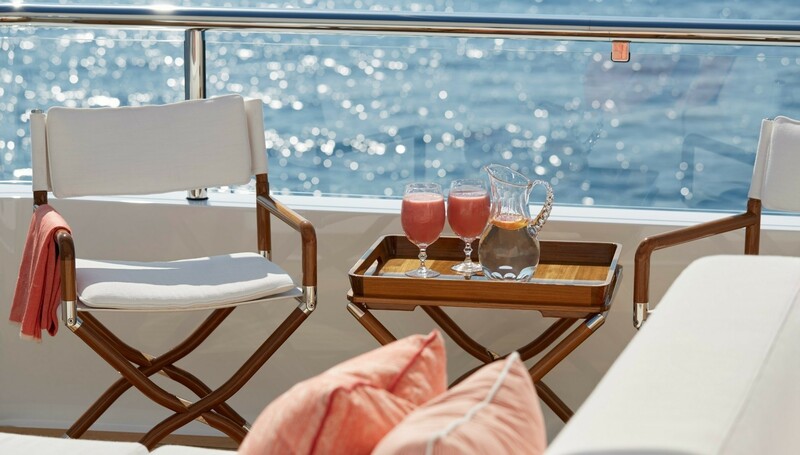 Accommodation also includes cabin areas for up to 17 crew members who take excellent care of everyone onboard. 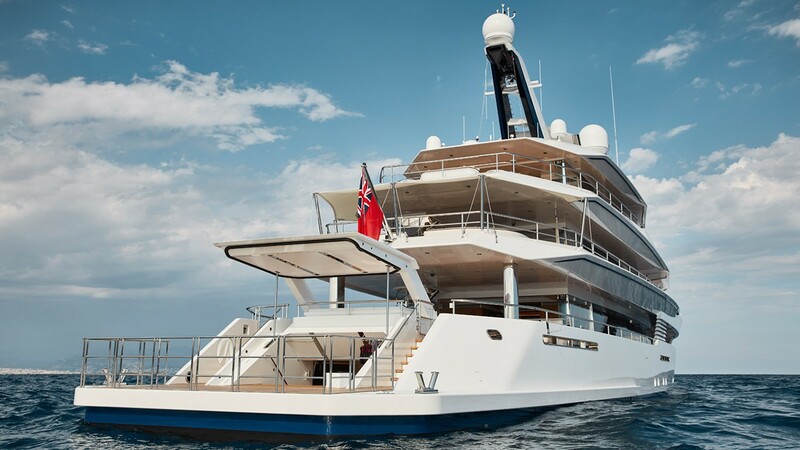 There’s a variety of tenders and an easy access swim platform. 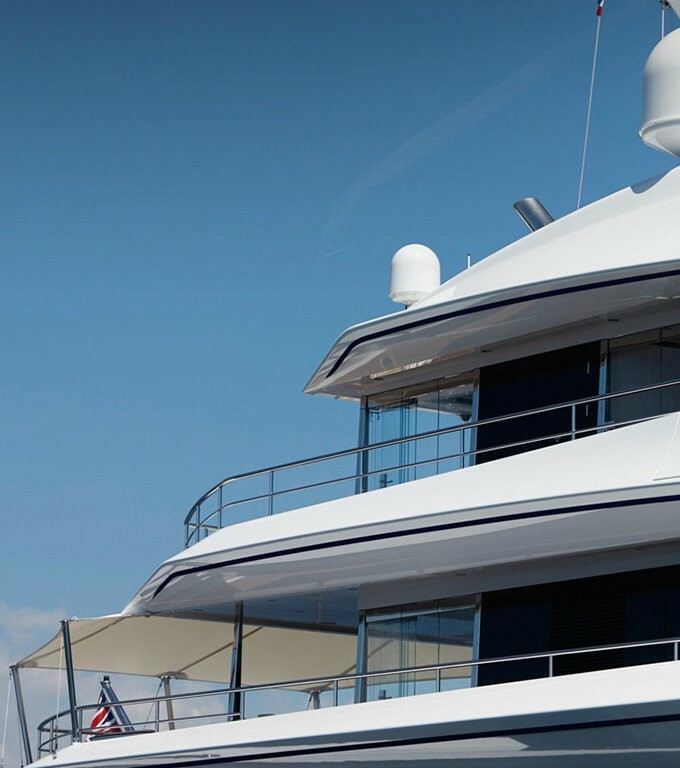 A wonderful selection of water toys includes inflatable kayaks, inflatable slide, wakeboard and tows. 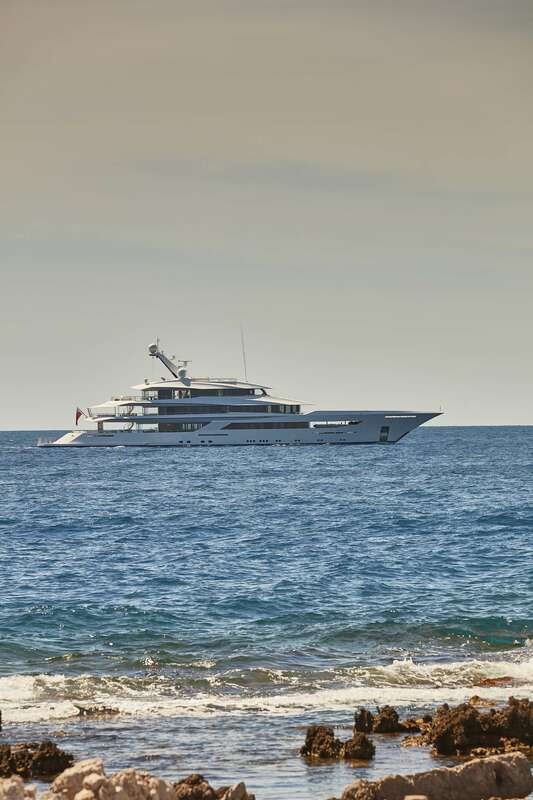 Water skis, snorkelling equipment, fishing equipment as well as diving gear are also available.